One of the many things I love about beauty – makeup especially, is the feel good factor. When it comes to the shopping experience, makeup will fit you, it won’t get stuck around your knees and refuse to pull up. Makeup won’t sag at the waist, or stretch too much across your bust. Makeup won’t ‘not go up to your size’ – you see what I’m getting at? And makeup doesn’t have to be expensive either; just popping in Superdrug for a £3 lipgloss can really cheer you up. Who says retail therapy is a load of rubbish hey? 1. Foreo LUNA Mini Special Edition – Save the Sea. 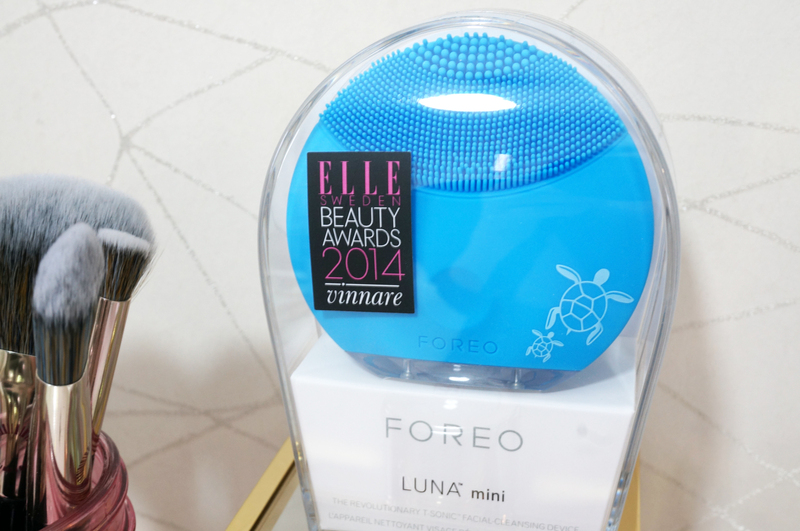 I have the original Foreo LUNA – but did you know they also have a special Save The Sea Limited Edition Mini Luna? This is basically a mini (and cheaper) version of the standard LUNA, which has been specially produced in a bid to help ‘Save the Sea’. FOREO will donate net proceeds of this LUNA mini Special Edition to their newly established Board of Ocean Conservation charity partners, including GreenWave and SEA LIFE Trust to raise funds and awareness to preserve our seas. I’m a big fan of Foreo’s LUNA, it’s a fantastic facial brush that channels T-Sonic pulsations through soft silicone for deep and gentle cleansing. The LUNA mini is suitable for all skin types, with thicker touch-points on the reverse side designed to deeply cleanse oilier skin, particularly on the T-zone. The thinner touch-points gently channel pulsations and are best used for sensitive or dry skin. The LUNA is perfect for removing dead skin cells and un-clogging pores – which it does fantastically well. It also enhances the absorption of skincare products and delivers visibly brighter, more radiant skin. This is sold out in the UK now (as far as I can tell) but it’s still available from Sephora. 2. Kiehls X Tinie Tempah Limited Edition Ultra Facial Cream. 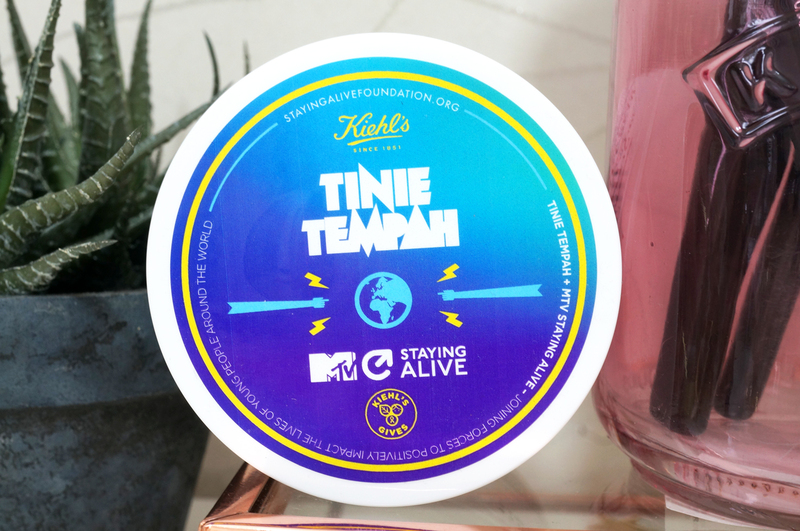 Skincare brand Kiehl’s have teamed up with the one and only MTV Staying Alive ambassador, Tinie Tempah to create this Ultra Facial Cream with a limited edition label. The MTV Staying Alive Foundation provides funding and training to youth-led HIV prevention projects around the world. Their work helps these projects and their young leaders to develop vital skills to build innovative, culturally relevant and sustainable organisations that lead the fight against HIV on the ground. And any Kiehl’s fan will be aware of their iconic Ultra Facial Cream, it’s the perfect light-textured day cream, offering up to 24-hour moisture, leaving skin feeling comfortable and well-balanced. The Limited Edition Ultra Facial Cream is available now from Kiehls. 3. Radical Skincare Advanced Peptide Antioxidant Serum. 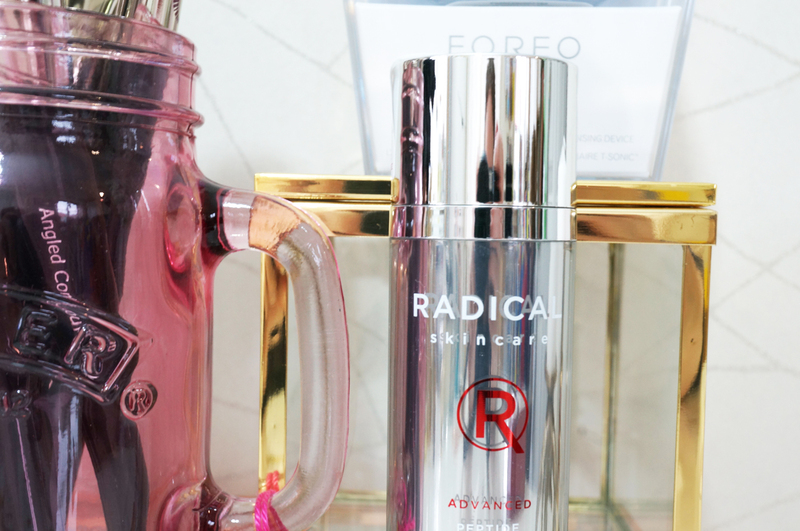 In case you haven’t heard of Radical Skincare, their heritage stems from founders Liz and Rachels’ father and his pioneering work treating burn survivors. Now they are on a mission to continue his legacy with The Katie Piper Foundation. For each purchase of their Advanced Peptide Antioxidant Serum or Skin Perfecting Screen, £2.50 will be donated to The Katie Piper Foundation – a charity offering help and support to burn survivors. You can read more about what they do here. I have their Advanced Peptide Antioxidant Serum – this is a serum for all skin types and ages, designed to fight 16 identified causes of ageing, reduce wrinkles, improve skin elasticity and increase hydration. This product shields against free radicals, whilst repairing past damage and preventing future damage. It includes 13 carefully selected and individually tested ingredients and 9 powerful antioxidants, and it’s also perfect for those with sensitive skin and those prone to breakouts. I’m really looking froward to trying this product out, fingers crossed I’ll see some fantastic results! Radical Skincare’s Skin Perfecting Screen and Advanced Peptide Antioxidant Serum are available now from Space NK and Fenwick Stores. 4. Look Good Feel Better Makeup Brushes. 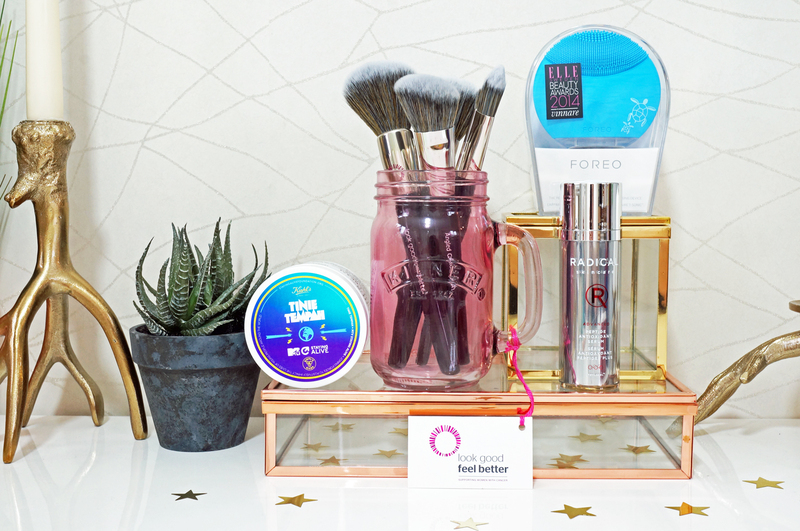 Look Good Feel Better is a cancer support charity specifically helping women and teenagers combat the visible side effects of their treatment. They run free skincare and make-up workshops in over 77 hospitals and cancer support centres nationwide, and more than 150 Masterclasses are held each year – which enabled them to support 14,500 women and teenagers in 2014. Which really is amazing. Their makeup brush range features 12 high quality professional brushes which have been developed with beauty industry experts. 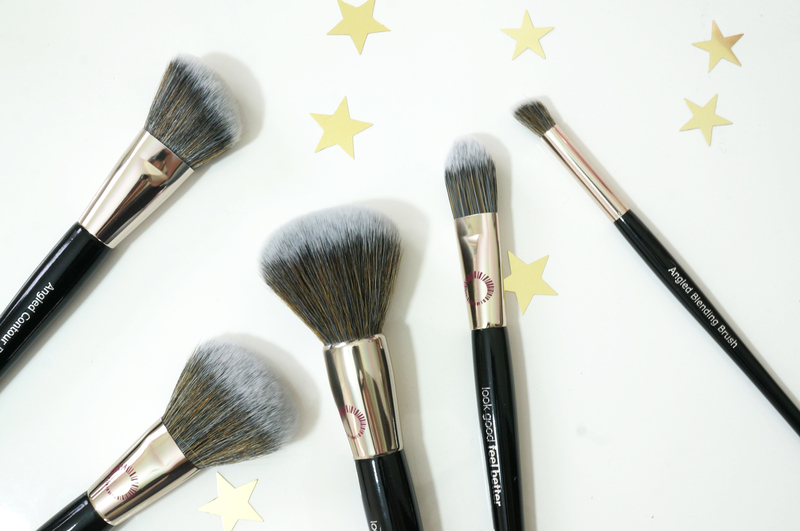 Apart from looking the part, these brushes really are top quality, and amazingly affordable. They have sleek black weighted handles, and each precision cut brush head has been hand-made using super softtalkon bristles, a special polyester derivative free of any protein component; making them allergy free, environmentally friendly and suitable for sensitive skin, and an 8% – 12% donation will be made from the sale of each brush and set. The Look Good Feel Better range of brushes are available now from Feel Unique. I also wanted to mention at this point, that lovely blogger Kirstie from A Yellow Brick Blog is raising money for Crisis – a charity for single homeless people. She’s encouraging people to donate as little as £1 to go towards this fantastic cause, you can see her Just Giving page here. Kirsty is currently at 86% of her target at the time of writing this, so please spare a couple of £’s to help her reach her goal!